OMRON Corporation is a global leader in the field of automation based on its core technology of “Sensing & Control + Think.” Established in 1933, OMRON has about 36,000 employees worldwide, working to provide products and services in 117 countries. The company is divided into five regions with head offices in Japan (Kyoto), Asia Pacific (Singapore), Greater China (Shanghai), Europe (Amsterdam) and the Americas (Chicago). The company’s business fields cover a broad spectrum, ranging from industrial automation and electronic components to automotive electronics, social infrastructure systems, healthcare, and environmental solutions. In the field of industrial automation, OMRON supports manufacturing innovation by providing advanced automation technology and products, as well as through extensive customer support, in order to help create a better society. 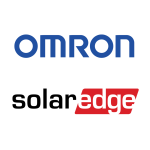 OMRON will offer SolarEdge’s three-phase DC optimized inverter solution, consisting of inverters, power optimizers, and module-level monitoring, for the high-voltage Japanese PV market. As a global inverter market leader, SolarEdge offers a DC optimized solution that manages and monitors energy at the module level in order to maximize power generation and increase string-design flexibility. These advantages open up a wide-range of new PV installation possibilities, including sites suffering from shade or uneven slopes. This means that installers no longer need to consider factors such as site location, orientation, and solar irradiance when designing PV sites.